Development of science and technology has allowed making our homes not only beautiful and comfortable, but also safe. Bulky appliances, spoiling by their appearance all the design of the apartment, have long been in the past. All modern technical equipments fit perfectly into the interior of the house. They are invisible. They “hide” in the niches, podiums, disguised as furniture, etc. In addition, new technologies open up doors for designers for large-scale experiments in interior design. Today we will talk on one of such technological achievements. Making extensive repairs in the apartment, many are often faced with the problem of the inconvenient location of the wiring. It is always in the wrong place, and often is damaged in the course of repairs. In addition, the presence of the classical fixed wiring in a house, in many cases, eliminates the possibility of “dream” on the subject of lighting in the room, or significantly impedes implementation of many “lighting” ideas. With the advent of such technology as wireless lighting, many of the design ideas has become much easier to realize in life. Wireless lighting is a construction consisting of two layers (which is a single panel, with built-in lights) with the conductive current inside. Thanks to the “mobility” of panels, they can be installed on virtually any surface, in any place of an apartment; moreover, they allow to get rid of extra wires in place. 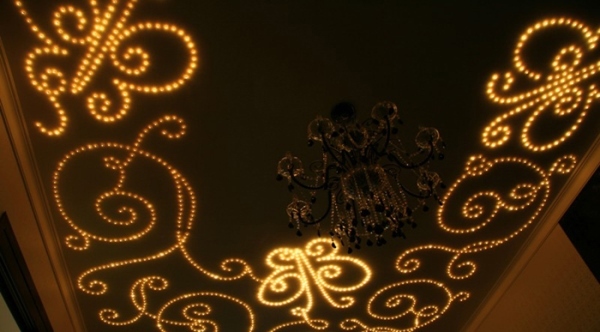 If you want to create a glowing pattern on the ceiling, it is possible to lay out the panels with the corresponding pattern of the light bulbs. 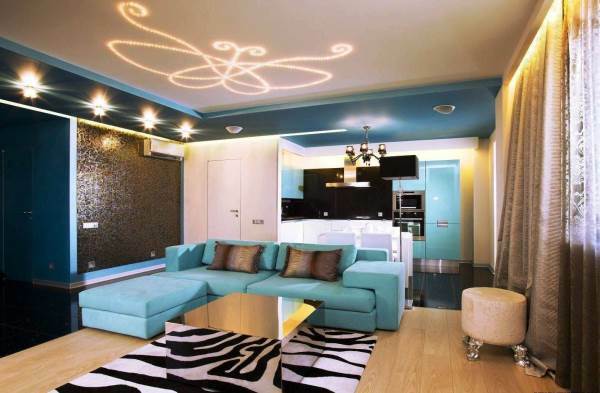 With the help of wireless panels you can also install the lighting on the floor. In this case, you will achieve the effect of floating furniture. It will be created by lighting below. Wireless lighting can be installed on the wall, creating a ornament glowing in the dark. It will just give a special atmosphere of the room at night. There is a large variety of panels themselves as well as lamps, mounted in them. So you can find the right option for a particular design of the room. Furthermore, the panels can be exposed to any kind of finishing. – reliable electrical insulation and high moisture resistance.